British electronics multinational Centrica has already had a strong first few years with its Hive range, and it's looking to bolster that roster with some brand new updates and additions for 2017. Leading the way is the Hive Camera, which brings 24/7 HD live streaming and more. The Hive Camera links you with your home and family through its aforementioned 24/7 live HD streaming capabilities, all easily controlled and accessed from its own mobile app. Interactivity is a key feature of the camera with built-in two-way audio enabling you to chat with your family at home via the camera, gives parents the ability to soothe youngsters upstairs if stuck in the kitchen and beyond. It'll include motion and audio detection, while the camera itself has a broad angle of view and also offers night vision. It can be set to record all movement, logging time and date, storing information locally to be easily retrieved via the mobile app. It can even be zoomed in remotely, with three sounds available for triggering – a police siren, a dog bark or a ringing alarm. The expanding Hive Connected Home range will also grow with the addition of the Hive Leak Sensor and Hive Active Hub, which are set for release later this year. 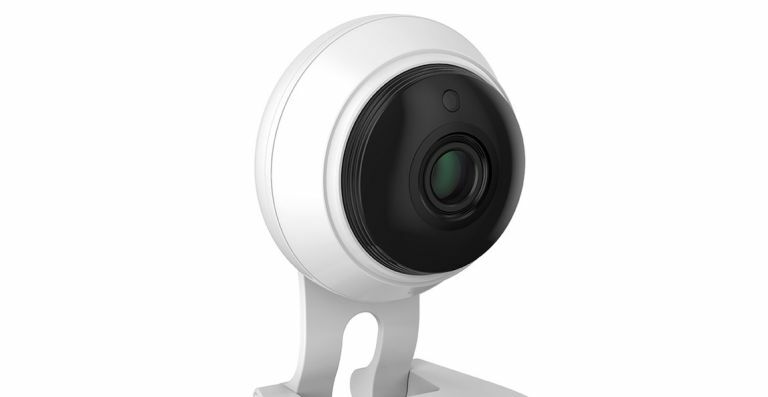 The Hive Camera purchase will be available to buy from 29 June with a price tag of £129 attached. It will also form part of Hive Home Check – a Hive monthly subscription package. Here at T3 we love any product that helps get the younger generations into the world of coding, so it's no surprise to find us getting all excited over Cubetto - a new ecosystem of smart products designed to help kids from ages 3+ learn to code through natural play and learning. The project, which has just launched a crowdfunding campaign on Kickstarter (a page that's already hit its $100K target within a day of launching), uses a robot made of wooden blocks to teach kids to problem solve via simple coding methods. Doing away with a traditional screen, Cubetto instead relies on an interface board that uses special blocks to help communicate with your child's new blocky friend. The system also works with special captivity books, which challenge your little one to navigate it story by completing coding-style problems. It's simple enough for children as young as three-years-old to use and is suitable for both girls and boys to enjoy. Head on over to the official Cubetto Kickstarter page today and you can pre-order a Cubetto Early Bird bundle for $195 (£154), which includes a Cubetto Robot, an Interface Board, 16 Coding Blocks, a Persoanlised Story Book, World Map and more. Pokemon Go is going to have its first official, real world event next month - and it was so popular it sold out in a flash. Pokemon Go Fest tickets went up and within half an hour the Chicago-based gathering was already sold out. Never, ever discount the power of Pokemon, people. Taking place on 22 July in the beautiful state of Illinois at Grant Park, the event will run from 10:00am to 7:00pm and will (according to Niantic at least) bring together, "thousands," of excited Pokemon Go fans ready to battle over gyms and collect even more Pidgies. On-site activities will include a unique set of routes with pop-up Poke Stops and three lounges for those all important PvP battles. However, just because you can't come to Chicago doesn't mean you can't take part. In fact, Niantic is planning plenty of challenges for all Pokemon Go users on that day, including the chance to earn a unique Pokemon Go Fest Chicago medal for their profile pages.